We went to the garden on Sunday with our two oldest granddaughters to get supplies for our Thanksgiving feast. They were delighted to each harvest a big butternut squash. Picking basil was more of a challenge since the plants are pretty bedraggled. We thought they’d enjoy pulling a couple of Cylindra beets. My instructions weren’t clear and I realized that Laureli thought I wanted her to pull a beet leaf, but it all made sense after I demonstrated. 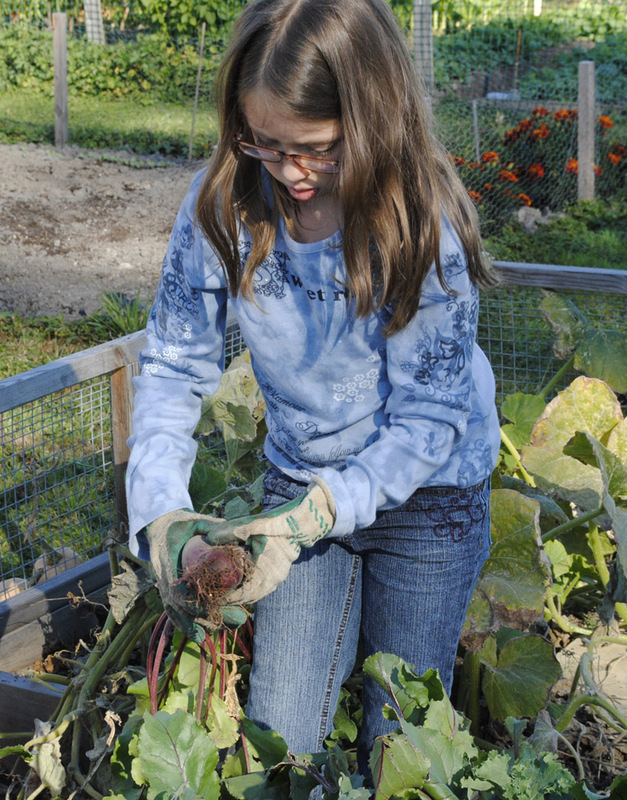 The girls were particular – they didn’t want to pick any beets that were partially eaten. Abigail bagged this fine specimen.